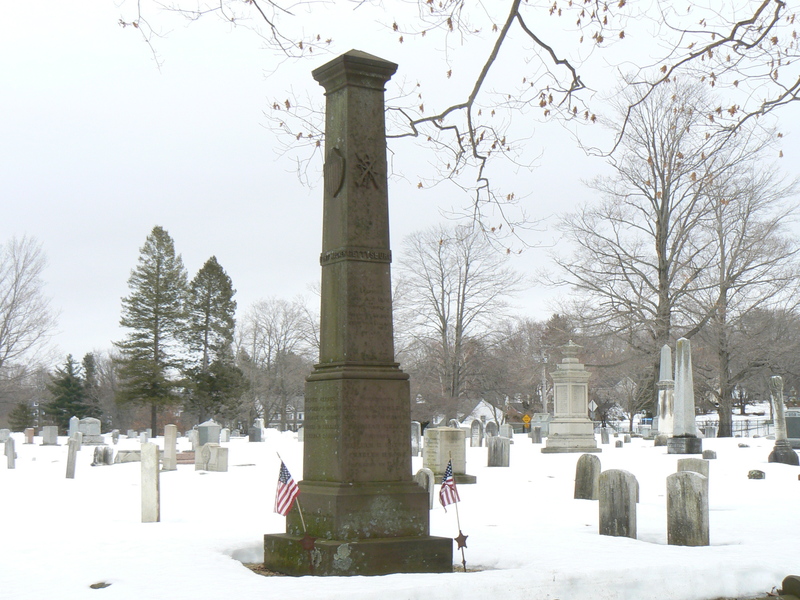 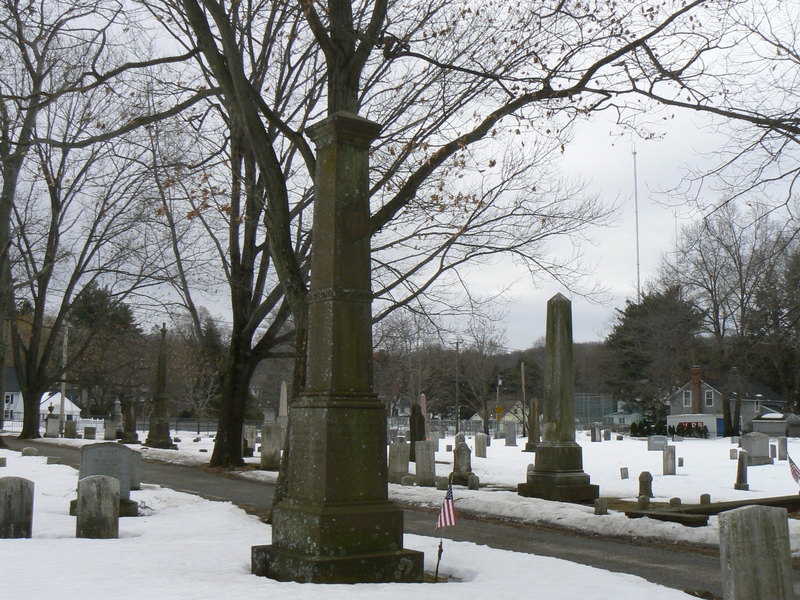 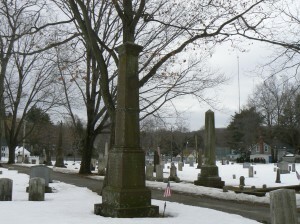 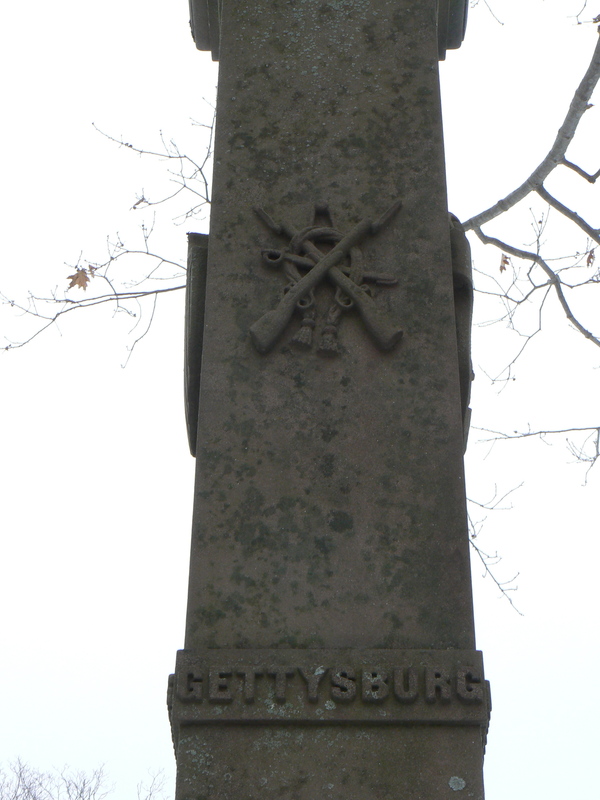 Farmington honors its Civil War heroes with a brownstone obelisk in Riverside Cemetery. 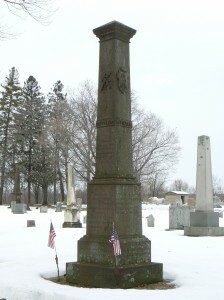 Information about the monument’s designer or supplier has not come to light. 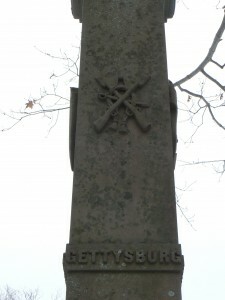 The lettering has faced in several placed, making it difficult to read, and the monument has large areas of lichen growth. 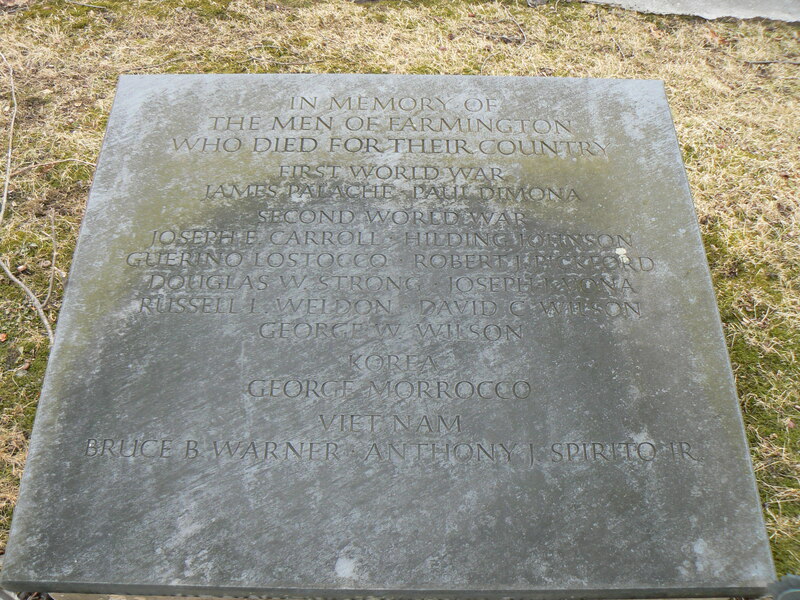 Directly across from the Soldiers’ Monument, a memorial honors Farmington residents killed in the World Wars, Korea and Vietnam. 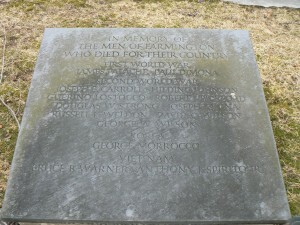 The undated memorial lists two residents killed in World War I, nine in World War II, one in Korea and two in Vietnam. 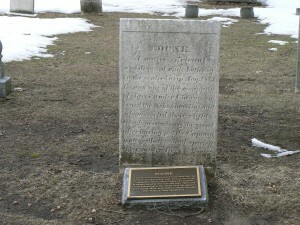 A short walk west of the war memorials is the grave of Foone, one of the former Amistad slaves. 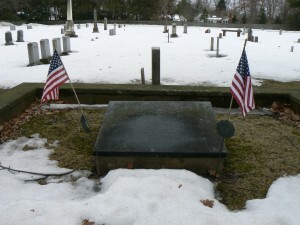 Foone’s grave is listed as a stop on the Connecticut Freedom Trail. A bronze plaque was placed in front of the grave in 2001 because the inscription was difficult to read. Farmington’s Civil War veterans are also honored with a 1916 monument in the Unionville section.